Anti-lock disc brakes, a rearview camera, stability and traction control, and multiple airbags are in place to keep you safe and secure. 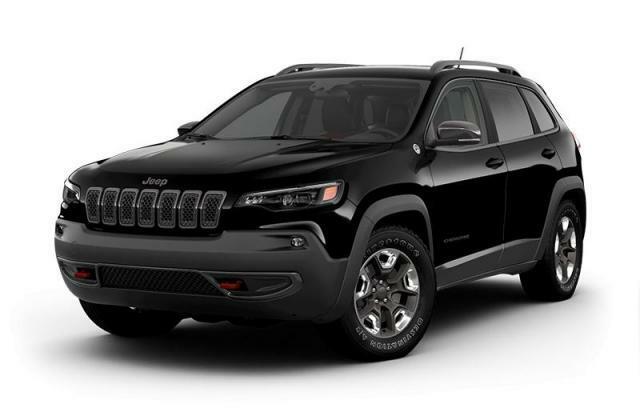 The Jeep Cherokee Trailhawk has a winning combination of capability, comfort and style sure to please you! Print this page and call us Now... We Know You Will Enjoy Your Test Drive Towards Ownership! View this vehicle today on our lot at 113 Starrs Rd in Yarmouth. Book a test drive online at www.murraydodgeyarmouth.ca or by calling one of our knowledgeable Sales Consultants at 1-888-721-1703. Our Live Chat Operators are always happy to help, chat with one by visiting our website and pressing the Live Chat button. Murray Dodge, 'Our Reputation is Your Guarantee'.